Ah, vacation! Time to set up your "out of office" notification, shut down your computer, turn off your phone and forget about work -- or, maybe not. You've seen lots of articles explaining how you can disconnect while on holiday, but some people share a different view. 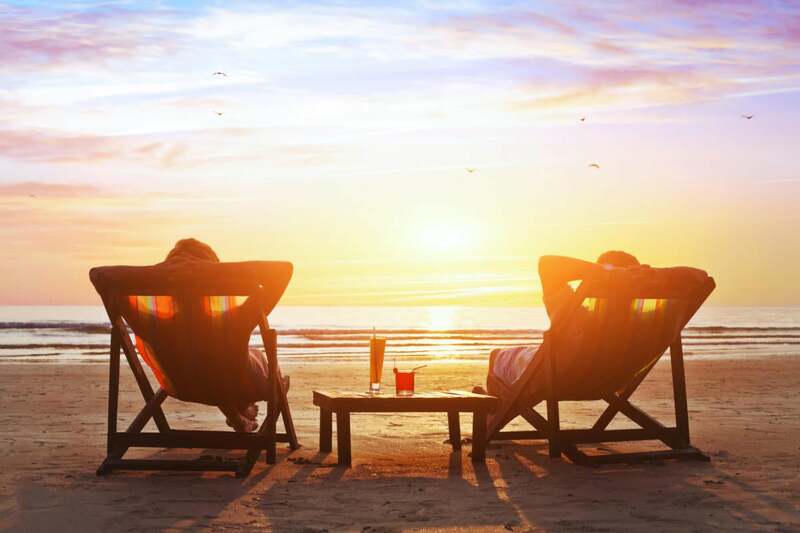 Not staying connected to the office while on vacation can set you up for a much more stressful return, and can even impact the waning days of your time off if you're dreading the thought of coming back to an overflowing email inbox, projects that may have gone off the rails and a full voicemail box. So. how can you best balance staying on top of your professional life while squeezing every ounce of enjoyment out of your (well-deserved) time off? The trick is to maintain a balance of both, 24/7/365, even if that means checking email on vacation, says Dan Lee, director, NextDesk. A study from last year on workplace flexibility by Workplace Trends, a research and advisory membership for HR professionals, shows a disconnect between what employers and employees expect, in regards to work-life balance. "67 percent of employers feel workers have work-life balance, 45 percent of employees disagree." So what is the right answer? Though you may be tempted to completely disconnect while out of the office, don't, says Lee. "Ignoring emails will only lead to more stress by setting you up to return to a flooded inbox and longer to-do list. Take a few minutes a day and go through your email and messages and respond to any that are urgent -- I'm an early riser, so I do this in the morning before everyone else is awake," he says. It's a new way of thinking about the traditional concept of work-life balance, says Alexander Kjerulf, founder and chief happiness officer of management consultancy Woohoo. and author on topics relating to happiness at work. Kjerulf believes "work-life balance," as it's traditionally defined, doesn't actually exist anymore. "Traditionally, we see work and life as competing activities fighting for our time. There's work and then there's 'free time,' implying that work is not free. And the term balance implies that more work automatically means less life. But where I take issue with that, is we only have one life -- we just happen to live some of it while working and some of it engaged in other activities," Kjerulf says. The evolution of global, knowledge-driven businesses has diminished geographical boundaries and made time zones irrelevant, says Ajay Kaul, managing partner at AgreeYa Solutions, a software, solutions and services provider. Consumers expect 24/7/365 service and support, and most enterprises use mobility and remote work capabilities to enable a more connected, always-on and engaged workforce, Kaul says. "The modern concept of work-life balance is focused on offering employees the flexibility to work anywhere, anytime -- leaving fewer fixed working hours and more project-driven or service-level deadlines and opportunities for ongoing streams of innovation and communication between team members," Kaul says. Collaboration technology, the cloud and BYOD have all conspired to allow employees to work seamlessly from anywhere. That "mobility effect" will continue to cause an overlap in people's personal and professional lives, so employees need to figure out how and when to connect and disconnect, he says. To maintain the balance, organizations need to set up policies, processes and incentives that enable entire workforces to easily pursue more balanced lives, and managers, IT leadership and C-level executives should model appropriate behavior themselves, according to Kaul. "As a managing partner, ensuring a healthy work-life balance for myself and modeling that for my employees is crucial for fostering organizational fulfillment, frequent innovation and ideation, employee retention and the attraction of new talent," says Kaul. For many workers, there's an unspoken expectation that the more hours they work, the better, says Kjerulf. This "Cult of Overwork," he explains, is subtly reinforced by executives who themselves put in sixty to eighty hour work weeks and seem to expect their employees to do the same. "One of the ways to avoid this is to consciously disconnect and make time spent not working meaningful -- do more than just binge-watch 'Orange is the New Black' on Netflix. For example, spend time with close friends, take a class, try a new hobby, volunteer or contribute time to a charitable cause," Kjerulf says. Ensuring the balance between a working and a personal life begins with establishing realistic goals, prioritization, organizing their workload and staying focused to accomplish each responsibility as a milestone, says NextDesk's Lee, but maintaining this balance also requires a very strong sense of remaining in the present moment, wherever that may be. "Self-management and organization are key. Worrying about what's going on at the office can ruin a great vacation, so while I suggest you keep a pulse on the office, yes, don't let it take over your personal time. Make a concerted effort to keep your mind in the present moment once you're done checking email," Lee says. Having colleagues and coworkers you trust to "hold down the fort" while you're away helps immensely, but in the absence of that, try and be as organized and proactive with tasks as you can so that you're not overloaded or tasked with resolving a crisis when you come back, Lee says. "Looking at my own life, I certainly don't see a 'work life' and a 'private life.' I just see one life, mine, in which these aspects are so mixed and so mutually dependent, that it makes no sense to attempt to separate them. They are already as integrated as they can be, and there seems to be no time where I am 100 percent at work or 100 percent off work -- I'm always just me, living my life," Kjerulf says.